Protecting an organization’s network from Internet-based service attacks has become a serious concern in the recent years. New threats outplay the existing defense mechanism and it is getting complex day after day. Understanding the real purpose of cybersecurity has become more than necessity. Security experts are on their wheels to create new and effective security techniques to protect business networks from security breaches. Network-based attacks use multiple devices to target the network server bombarding with a heavy flow of network traffic. It also requests too many services at a time that the target network cannot address the actual demands. Host Intrusion Prevention System and firewalls are some of the preventive measures that can be implemented to completely deny network-based attacks. The security approaches identify malware interference by deploying various techniques to understand the pattern and if there is a clear difference in the pattern they are instantly denied from entering the network. These are some of the most common vulnerabilities as hackers find to exploit to gain access to the technology network causing destructive data breaches. 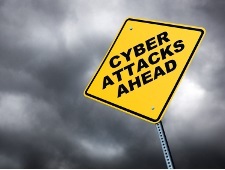 Network Administrators can implement three preventive measures to stay away from network attacks. Use firewall, to limit any suspicious files from reaching the internal server. It will entitle the admin to monitor the server so as to understand where to block traffic. Reach out to the Internet Service Provider by contacting the management team to terminate the possible attacks from reaching the organization’s network. Define a logical time limit for HTTP open sessions. 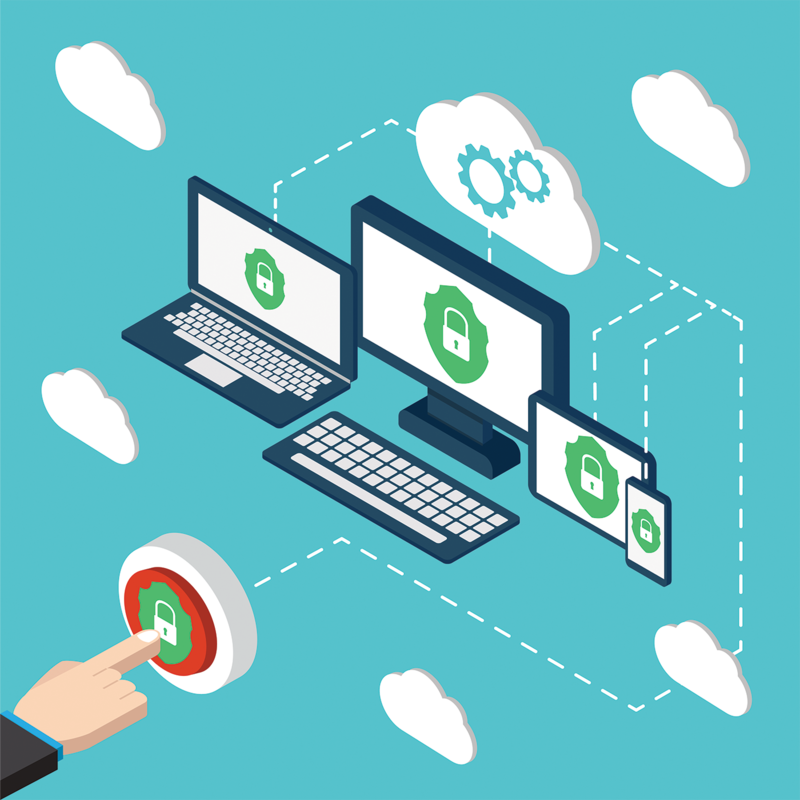 Install the use of Comodo one – Remote Monitoring Management to ensure constant watch over of the network and the devices connected to it. It also helps to keep all the software, applications and programs required for the system up-to-date staying ahead of security breaches and attacks. 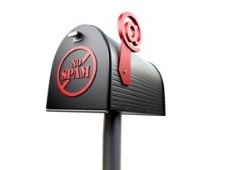 Email spam is also termed as junk email, these are suspicious messages sent in bulk through emails. Most of the email spam messages are commercial in nature. They contain links that look genuine and convincingly familiar however the links leads to phishing websites that hosts malware. It was first in the early 1990’s the concept of spam emails started. 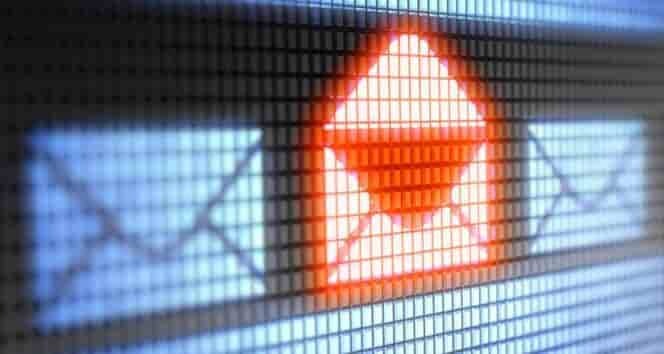 Reports reveal that malware infected network of computers or the botnets are used to send spam emails. 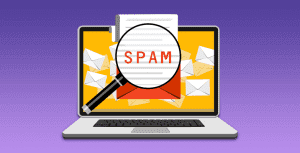 Spambots are used by spammers to obtain email addresses of the target victims and send malicious emails to the obtained email list. Though the spammer sends mails to millions of email addresses, only a small number will respond or communicate with the message. Email spam come in different types. The most common of all is the spam mails that are disguised marketing campaigns for business promotions. It can be promotion of weight loss programs, job offers and even any clothing brand with unbelievable offers. Comodo Dome Antispam delivers a combination of spam filters, content analysis engines, phishing prevention techniques to deny unsolicited emails from entering the users’ network. Dome Antispam equips to fight against the latest unknown and zero-day threats with its advanced level of protection mechanism it offers. Security and usability: Users, though unsure if the emails are genuine or suspicious, still have the privilege to open the attachments without having the risk of infection from malicious files. Granular control: It give a centralized console to manage and provide a granular level of control through group-based email policies and therefore enhanced security. Flexible and Easy deployment: It is made available in Cloud, Dedicated On-premises and Hosted Cloud. If you trade in cryptocurrency, your funds probably aren’t safe in a public exchange. On June 19th, Bithumb, one of the largest cryptocurrency exchanges in Asia, changed their wallet system. They announced that they would temporarily suspend deposits while they changed wallets. Up until then, there were no known indications of cyber-attacks. Twelve minutes after the wallet change, Bithumb made a shocking discovery. About $31 million USD worth of cryptocurrency was stolen! They paid all applicable accounts back the money that was stolen from them, but all of a sudden the company had a multi-million dollar loss and a cybersecurity incident to respond to. The Korean public sector has been assisting Bithumb with their incident response. They have been working with the Korean Ministry of Science and ICT’s Korea Internet & Security. Bithumb may be able to recover some of the stolen funds. Once again, the company has assured investors who were affected by the attack that they will be fully compensated, no matter what. If you invest in any cryptocurrencies, public exchanges may not be safe places to store your money. They generally aren’t as secure as conventional bank accounts of fiat currency. “Cold” wallets are more difficult to attack than “hot” wallets. A “cold” wallet is a place to store cryptocurrency which is inaccessible to customers and also completely disconnected from the internet. A “hot” wallet is accessible to customers by being connected to the internet, which opens a major attack vector. Cryptocurrency money moves between “hot” and “cold” wallets all of the time. It’s possible for you to maintain your own private “cold” wallet. Your “cold” wallet can be stored on an external hard disk or USB drive, which you should only have mounted to a computer that’s connected to the internet when you have to use it. Maybe the best approach is to put some of your cryptocurrency funds in your private “cold” wallet, and the rest in a “cold” wallet that belongs to an exchange. But you’ll need to check the exchange to see if they would transfer your “cold” wallet funds to a “hot” wallet, when and how. And even “cold” wallets aren’t completely safe from cyber-attack; they’re just generally much safer than “hot” wallets. Or you could be like me, have no cryptocurrency, withdraw cash from your conventional fiat checking account, and store it in a fireproof safe that only you would have physical access to. But some people would think that I’m a bit eccentric. It’s possible that during the June 19th wallet change, one of the wallets Bithumb handled contained malicious code that was the payload. More news may become public about this attack as more becomes known. Bithumb’s a pretty big player in the world of cryptocurrency. It’s typical for them to trade over $200 million worth of funds in a day. As 2017 ended, Bithumb said that they had over a billion dollars’ worth of cryptocurrency holdings, and a net profit of about $300 million for the year. Uncle Scrooge would be proud. Awards confirm Comodo as only free product to provide 100% protection against zero-day malware. 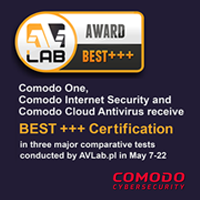 Comodo’s Internet Security, One and Cloud Antivirus products have each been awarded ‘Best+++’ in the latest round of tests from security testing firm, AVLab. Significantly, Comodo scored 100% protection score against ransomware and cryptominers, confirming the strength of Comodo’s containment technology against two notorious threats that many experts consider unsolvable. 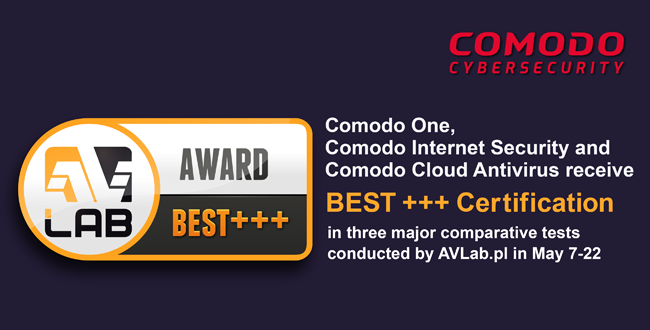 The awards follow hot-on-the-heels of Comodo’s stellar performance in recent tests by AV-Test, where Comodo also won ‘Best Product’ in all three categories. Both sets of tests were conducted in severe conditions which imitated real-life attacks. Bulletproof protection. Comodo scored a 100% protection rating against zero-day malware attacks, inclusive of web and e-mail threats. The result repeats Comodo’s 100% performance in the firm’s February survey. Superior Performance. Scoring 5.5 out of 6, Comodo beat industry averages in 3 out of 5 categories and offered extremely fast load-times when launching popular websites on high-end PCs. Outstanding Usability. With another 6/6 rating, Comodo collected a perfect score of zero false-positives in 3 out of 4 categories. And with just one false-positive out of 1,615,677 scanned files, Comodo beat the industry average 10 times over in the remaining category. AVLab is an independent organization that conducts tests on security software for corporate networks and individual user devices. 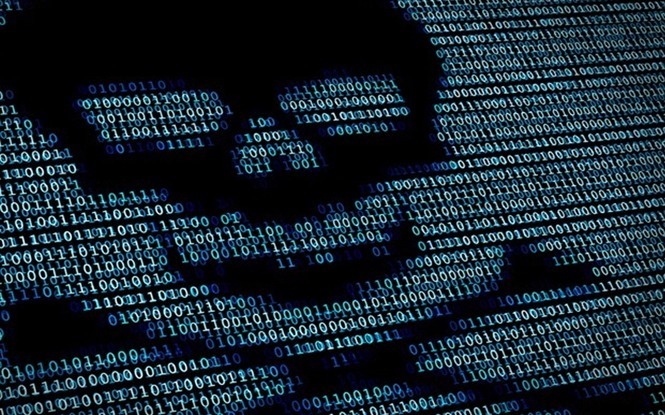 The round of tests they ran in May had a very specific aim, to test how well each product performed against the most notorious types of malware around – ransomware, cryptominers and bashware. AVLab were clear that each product should be tested against living, real-world threats. To guarantee the freshness of their malware samples, they placed honeypots in multiple locations around the world. From the catch, the researchers selected 43 unique ransomware samples, 35 cryptocurrency miners, and one bashware sample. Comodo Internet Security, Comodo One and Comodo Cloud Antivirus passed all tests with the highest score possible. Earning BEST+++ awards in all categories, Comodo products were the only free-for-life offerings to achieve 100% protection against both ransomware and cryptominers. More details on the AVLab test results are available here. Containerization technology is at the heart of Comodo’s range of home and enterprise security products. Under the technology, all files which have a trust rating of ‘Unknown’ are automatically run in a secure, virtual environment known as the container. Applications in the container are isolated from the host, write to a virtual file system and registry, and are not allowed to access user data. This means untrusted (but harmless) applications can be used as normal but genuinely malicious programs are prevented from causing damage. This provides smoothest user experience possible while offering 100% protection again zero-day threats. This constant chain of awards hardly surprises millions of users around the world who already understand the advantages of Comodo Internet Security. They know it offers a variety of useful tools that many paid antiviruses don’t have. Comodo Internet Security delivers not only high-end protection with cutting-edge antimalware technologies but also great usability for both novices and expert users. CIS features include a powerful antivirus, firewall, automatic containment, host intrusion prevention, website filtering, protection for online banking and shopping and much more besides. It acts as a faithful guard carefully monitoring all processes on your computer. 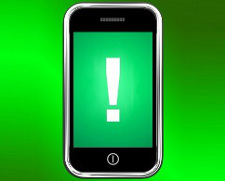 If a suspicious event happens, it will handle it and notify you immediately. One more advantage is its universality. It’s designed for both non-techy users and IT professionals. The former can easily install-and-forget. The software will run in the background and care of any security concerns. The latter will find a powerful range of tools that let them delve into granular configuration of the product.The icing on the top is the containment technology. The technology is the exclusive Comodo solution to beat any kind of malware. The unknown files are automatically opened in an isolated environment, so they can’t harm your machine in any way. “We in Comodo see creating secure cyberspace as the important part of our mission. And security of the total cyberspace depends on security of every user present there,” says Fatih Orhan, The Head of the Comodo Threat Research Labs. “So it’s extremely important to equip as many people as possible with best means of protection. That’s why Comodo Threat Research Labs (CTRL) division of Comodo Cyber Security with constant support from other Comodo departments has been aimed at creation of security products that would always outperform even paid competitors on the market. Everyone who works on Comodo Cyber Security products is inspired by the idea of providing top-tier security for everyone in the world, regardless of the ability to pay. No fees. No hidden charges. Free-for-life. 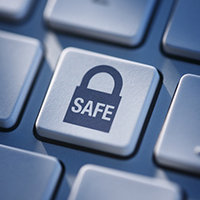 Creating and developing our endpoint products while keeping with high security and high usability is a hard challenge. It’s one that requires many factors and nuances to meet at the right time in the right place. You need to standardize operations, align processes and product visions, and get high-level commitments and support from top-level executives. And the results are awards like the ones we mentioned today – a source of pride for every employee in Comodo. Indeed, every user in any corner of the cyberspace now is able to download the multiple independent test-proved best free security solution in the world and feel totally protected against the most cunning types of threats”.